Earlier this week I asked people to drum up support and share that I was going to be doing basic Spanish classes, and many people shared that post, unfortunately facebook decided not to share the info about the lessons, only my justgiving page not sure why, but thanks to those that shared page on facebook. But sadly that amount hasn’t crept up at all, so I wondered why that might be, and thought I’d provide some more info on the project and what I will be doing over the next few weeks, and why you should donate. No, I am not going on holidays again, all of you are well aware of my large career break leaving on 6th November 2013 and returning 25th April 2015, after taking voluntary redundancy from job in the steel works. (Which you can read all about here, I’ve added a few posts recently, ill continue to update them.) This 4 months in Central America however is not going to be a jolly. I will be living and working in a poor community in Nicaragua, as a team leader. I’ve been selected for Nicaragua because of my previous project management experience, and my Spanish skills amongst other things. I am very excited about the project, and think it will be a fantastic experience, but have no doubt that it is going to be challenging but completely worth it. Were just paying for your flights surely? It shows that we are committed to the cause. Spreads awareness of the project, for general exposure and also may encourage other UK volunteers to get involved. Find out how here! 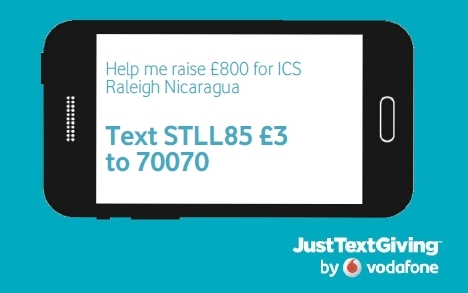 I guess the figure of £800 could be considered the cost of return flights to Nicaragua, so if you like, my friends and family are helping me get to the country where I can work for free for 4 months helping a poor community, improving their access to one of the most basic things in the world…. clean water. Yeah but bet you’ll be having a few beers and a right good ol’ time! I am confident I’ll have a great time, but the programme is completely dry, no alcohol for the duration of the project. 4 months without Cerveza! That on its own is surely worth you bunging me a few quid towards the target?! I know many of you, will come along to my events over the next few weeks. I’m in process of sorting dates for picture slide shows from my travels, others are planning to learn some Spanish with me, others are going to try out climbing for the first time. But if you’ve got this far, how about instead of that extra pint this weekend, you donate it to my project. Or alternatively if you’ve enjoyed my blogs and photos over the past year and half please sponsor me.